Originating from Northern California and Oregon where they grow in rock crevices, our Lewisia are grown from seed from plants selected for their brilliant flower colour. Whilst being frost hardy, Lewisias dislike winter wet and so are often planted in walls where the soil is free draining. Flowers appear in late Spring are held on short stems above rosettes of fleshy evergreen leaves.<br> N.B. these plants have finished flowering until next year. 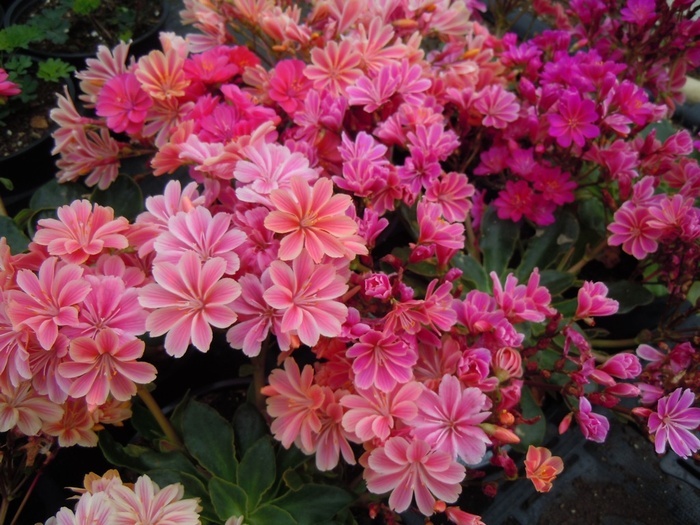 Originating from Northern California and Oregon where they grow in rock crevices, our Lewisia are grown from seed from plants selected for their brilliant flower colour. 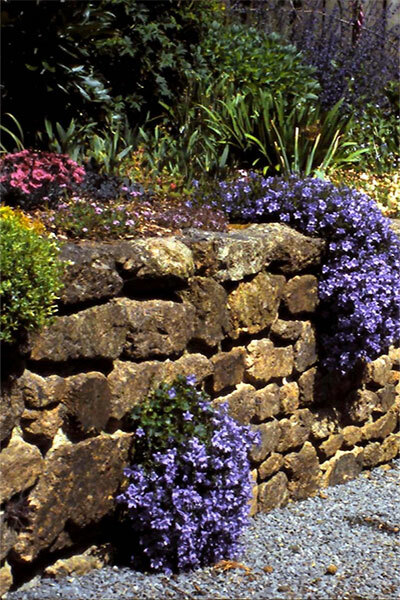 Whilst being frost hardy, Lewisias dislike winter wet and so are often planted in walls where the soil is free draining. Flowers appear in late Spring are held on short stems above rosettes of fleshy evergreen leaves. N.B. these plants have finished flowering until next year.